Street Fighter is one of those absolute classic pieces of gaming history, both on a general level and for me on a personal level. On the large-scale it’s managed to permeate through to consciousness of the masses so that even the Queen probably knows what it is. On the micro-level, Street Fighter was indirectly responsible for making me a gamer because my parents through it was too violent and made me swap the Amiga version in for a copy of The Secret of Monkey Island. The rest is totally irrelevant history. 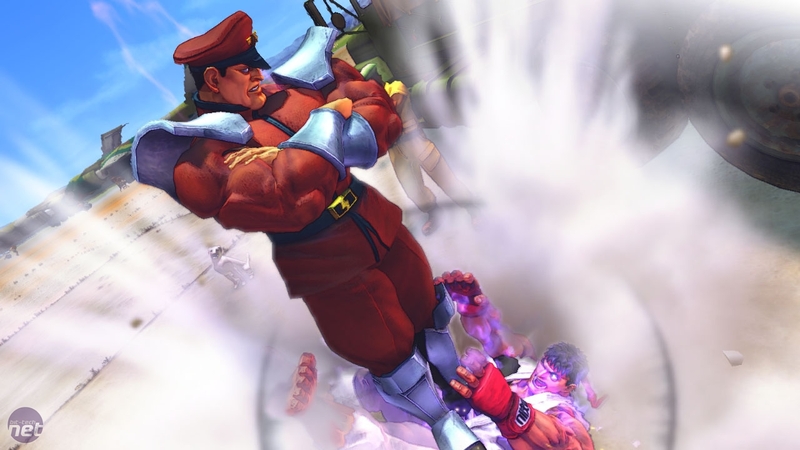 Now there’s a new Street Fighter too – the first game since the late 90s that’s actually numbered sensibly and doesn’t bear all that ridiculous Super Turbo HD Alpha 3 Remix: Warrior’s Dreams babble on the end. 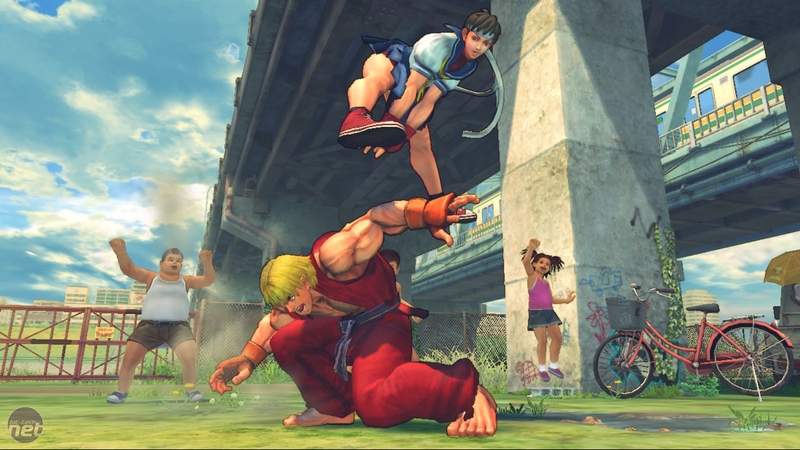 Thankfully, this is just Street Fighter IV. Nothing more. Except it is more than that, actually. Much more and although it doesn’t carry all the orally exhausting subtitles of the earlier Street Fighter games, Street Fighter IV is very much HD. And remixed. And super. As for whether warriors dream about it or not though, well...we’ll get back to you on that. The idea behind shortening the title though is the same as the theory behind the game as a whole, we reckon; trying to take things back to basics. Capcom hasn’t tried to bring the game kicking and screaming into the next generation and it hasn’t tried to tack on many of the mod-cons that other beat-em-ups do. There aren’t any destructable environments, no blood that splatters over the arena and no huge swords and guns. Leave those things to the Mortal Kombats and Soul Caliburs, says Street Fighter IV, adamant that there is A Better Way. That begs the question; if there isn’t any of this stuff then what is there that makes Street Fighter IV special? The answer is, quite simply, the gentle and unavoidable pull of nostalgia; because Street Fighter IV hasn’t tried to prostitute itself with shallow license tie-ins and such it’s managed to remain almost exactly how you’d remember it. Well, almost. It is prettier, it has to be said. The definition in Street Fighter IV is so high that it could kill you by dropping a penny on your head and the new art style is fantastic. The animations are smoother than swimming through a pool of hot Vaseline and the caricaturised character design brings all the right memories flooding back. Chun-Li’s thighs, Blanka’s hunch – it all looks even better than you might have heard. In terms of actual gameplay Street Fighter IV is a very classically styled too, almost to a fault. There’s an arcade singleplayer mode, a training mode and some multiplayer options and some pretty unlockable movies and pictures, but that’s it. Aside from the time trials and survival modes there’s typically little to give the game any longevity for singleplayer types. It’s easy to mock Mortal Kombat for it’s lacklustre karting modes, but they do give the game around an hour of extra mileage and that can be important for anyone who doesn’t want (or can’t) take the fight online. Plus, every single time we review a beat-em-up game we’re reminded how excellent and long-lasting the Weapon Master mode in Soul Calibur 2 was – and how shameful it is that other games (even those in the same series) haven’t replicated it. A weird but wonderfully fantastical fighting... game.